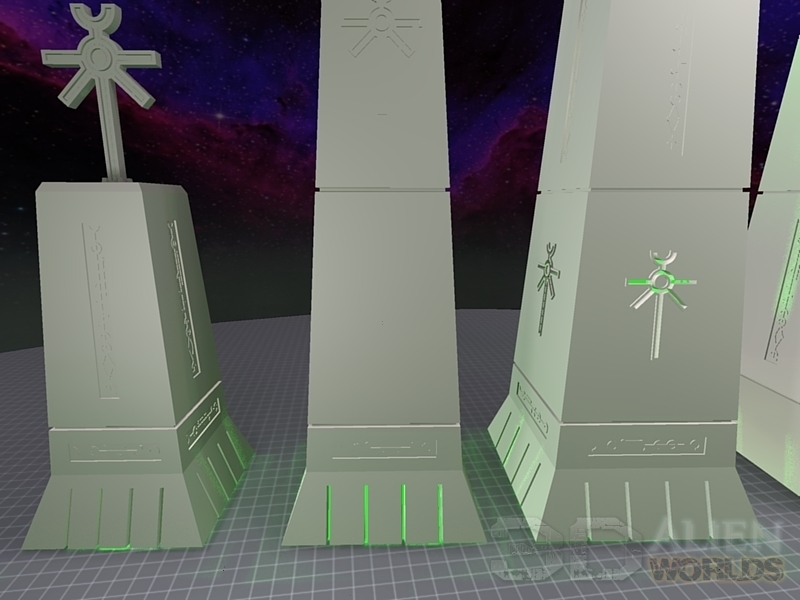 A large 33-piece set of Necron-inspired obelisks, with carefully adjusted sizes for lower, middle and upper levels. 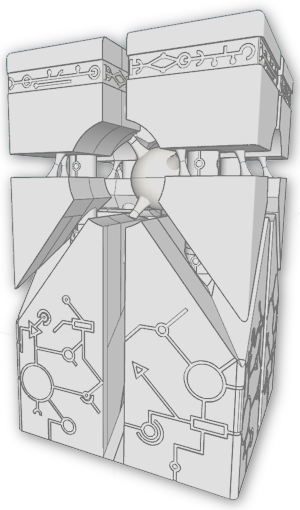 Each body piece is approximately 120mm high. 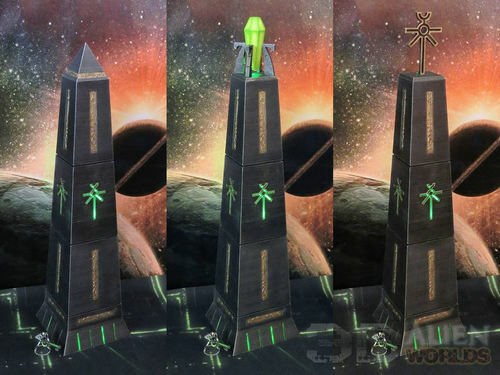 All pieces can be interchanged to create a huge variety of obelisks to suit your tastes. 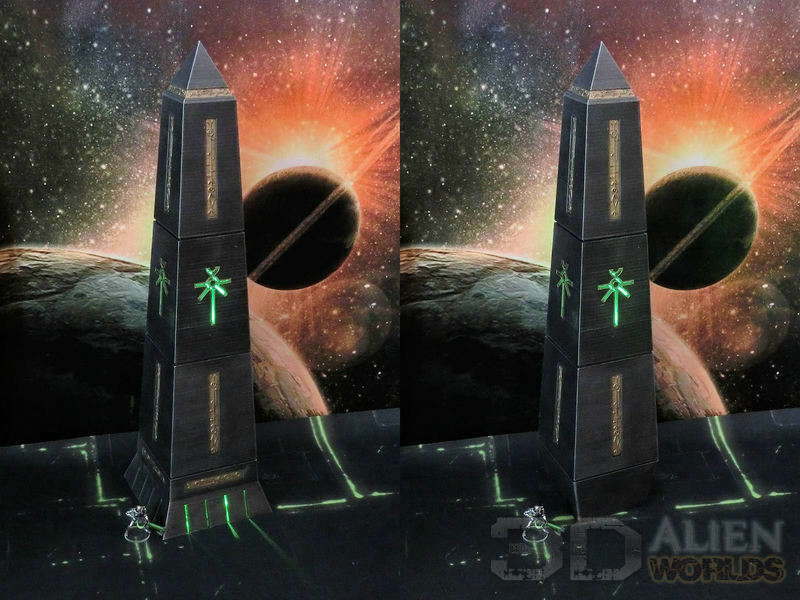 * WARNING : If you choose to print a 3 storey obelisk at 100% scale, it is HUUUUGE!! 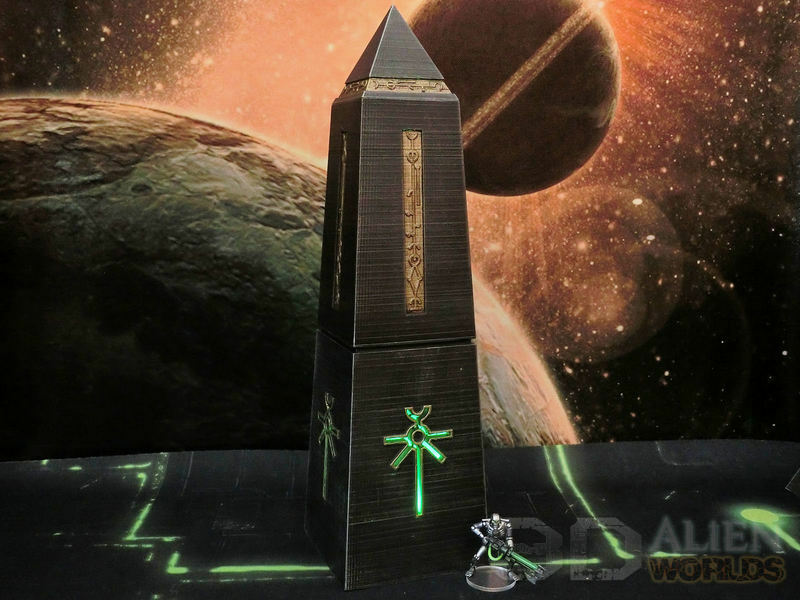 At 100% scale, it stands approximately 50cm (20") tall.... you have been warned! 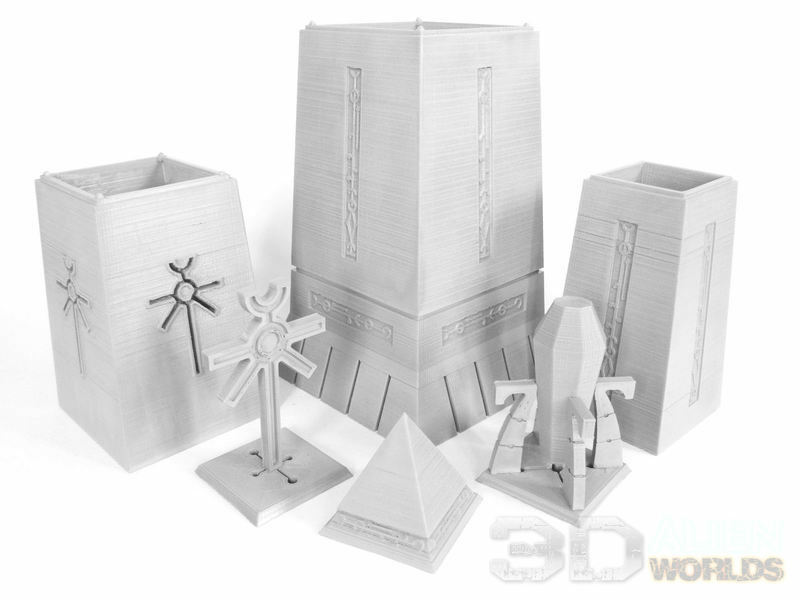 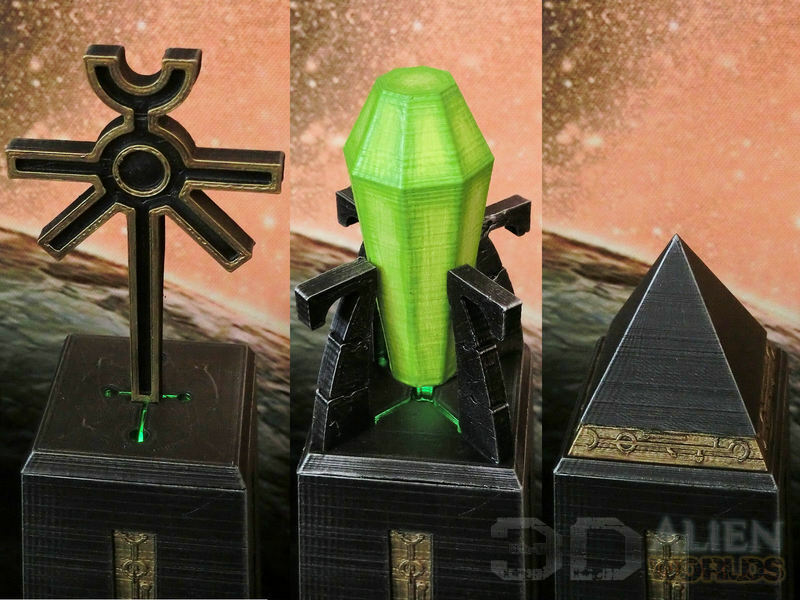 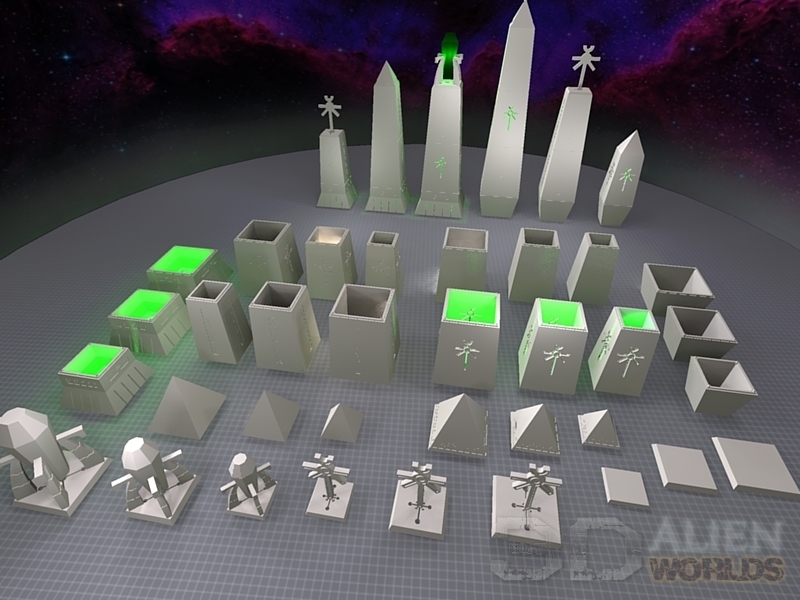 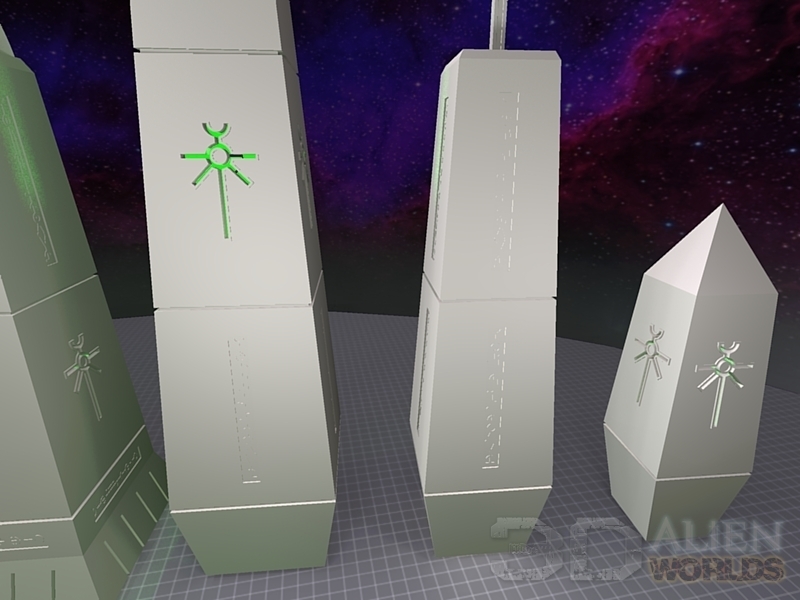 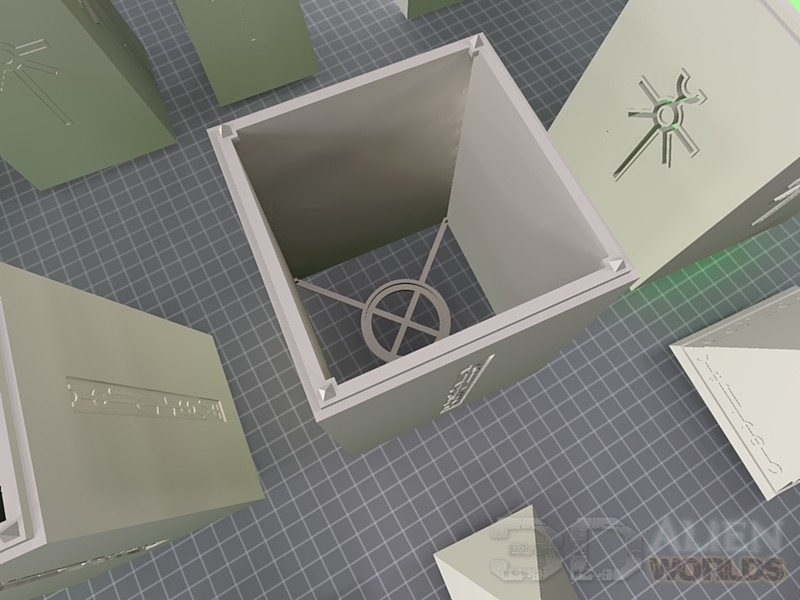 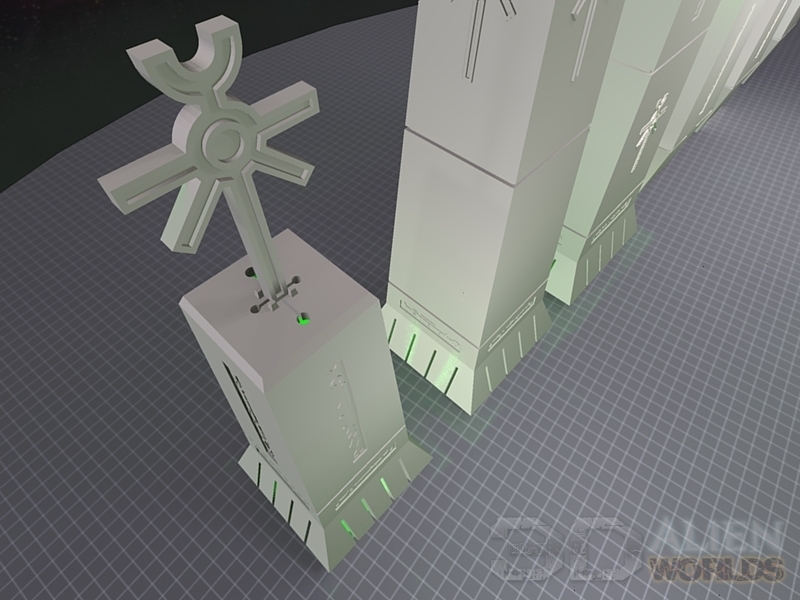 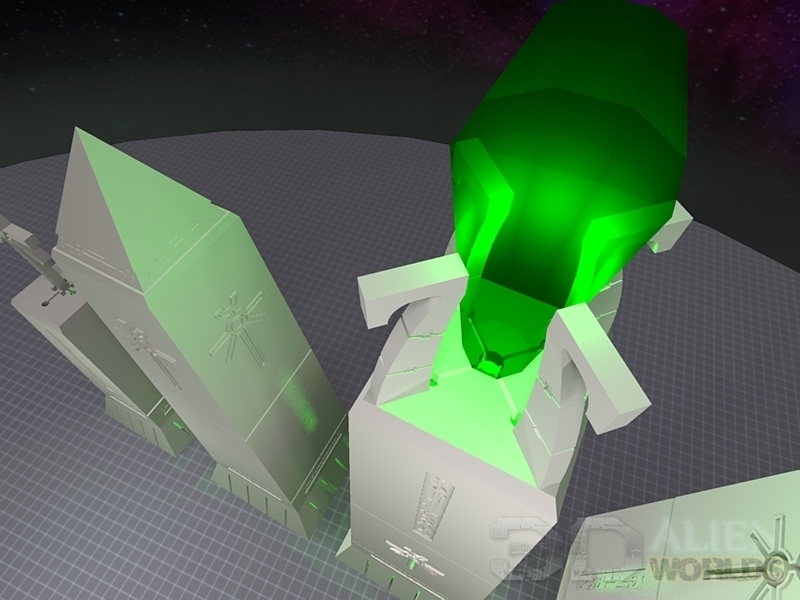 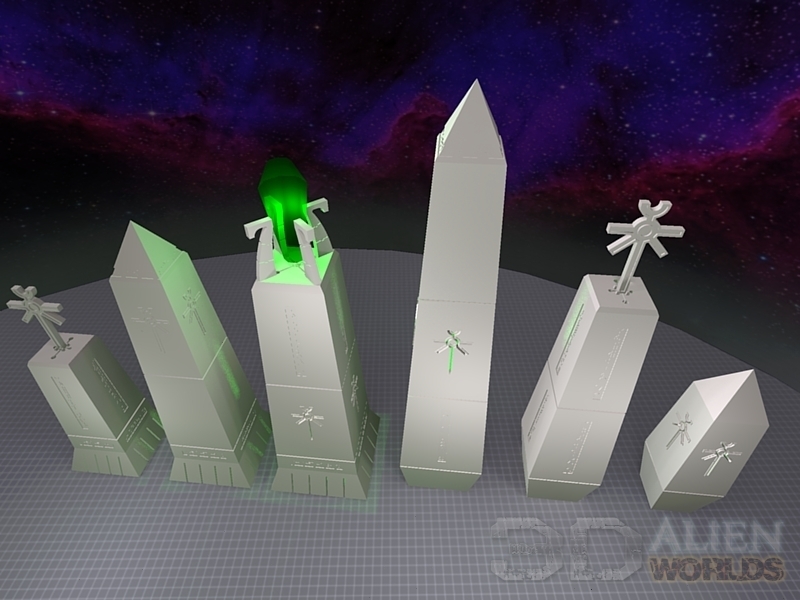 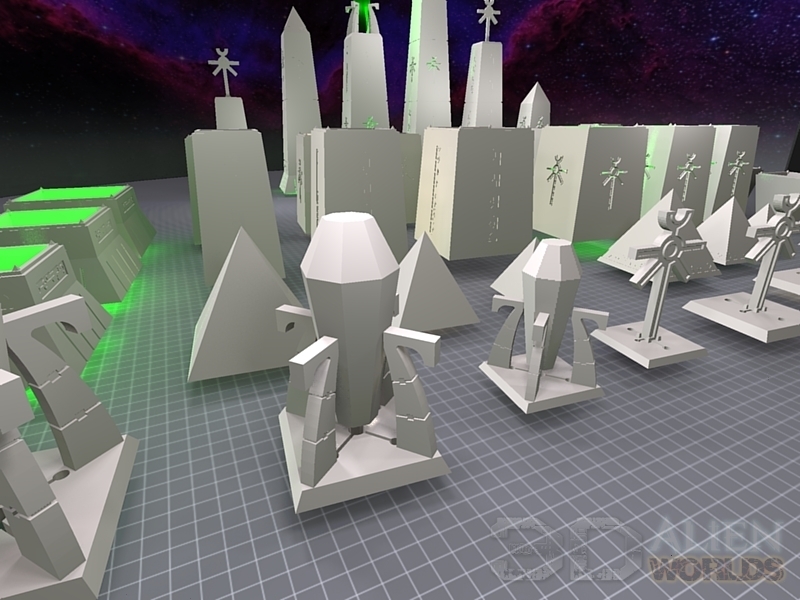 However, you can also choose to print all of these obelisk pieces at reduced sizes (down to 50% scale) without problem!